Thanks for taking my artwork to your home! 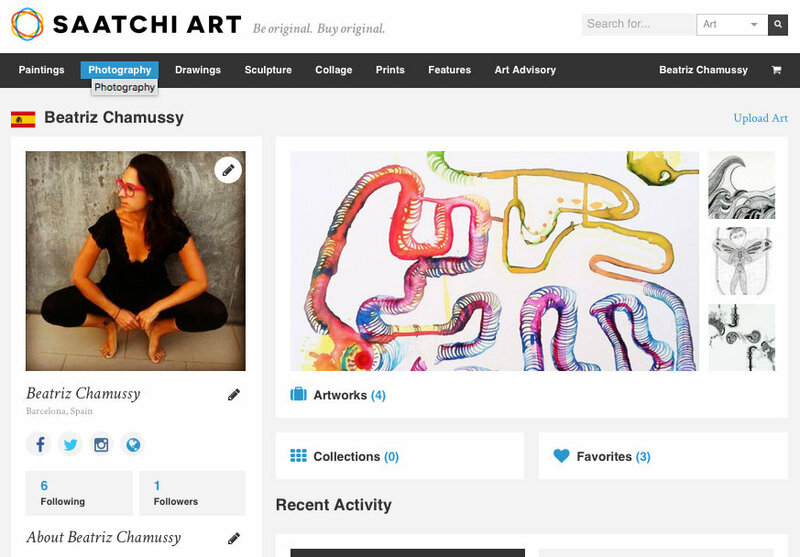 Down here you’ll find links to SAATCHI and ETSY , two online shops where you can buy my original artwork. For commissioned artworks please scroll all the way down and read the information. 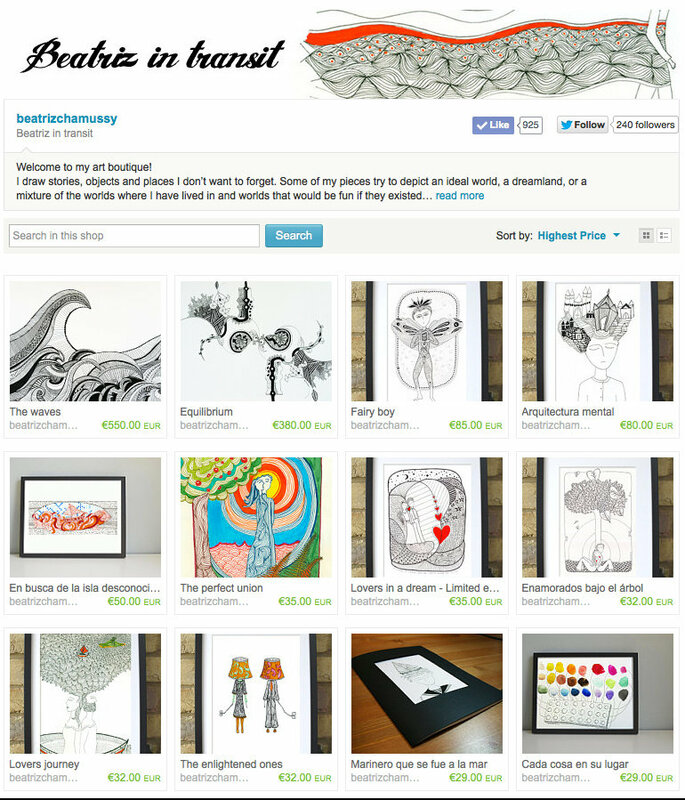 ♥ ETSY – Original art, prints & special unique art products. Often people have asked me to make a special art piece as a gift for friends, or to decorate a wall in their house with some meaningful image. I love to do this! It’s very special to be able to translate within an image the story of a family, the love story of a couple that is getting married, the birth of a little boy, etc. -Subject matter, color scheme, etc. 2) Prior to beginning the work, I ask 50% of payment from the collector so that I can invest in the materials. 3) I start working and I send some images showing the work in-progress, which the collector reviews and approves. 4) Once the work has been completed, the collector approves the final image. 5) Then I ask the collector to deposit the final payment, plus the cost of shipping. I take a lot of care wrapping properly the artwork, so that it travels safely to the address of the collector. If the collector is Barcelona he/she can pass by my studio, we meet personally to give the artwork by hand. I have worked on many commissions, and it’s a great to enable collectors and interior designers to acquire works they love. With good communication on all sides the process is smooth and beneficial for both collector and myself.